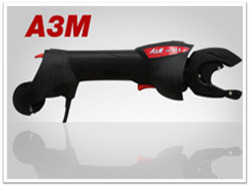 The A3M is the perfect tool to facilitate your tying work in Vineyard, Orchards, Nursery. The A3M will dramatically increase your productivity when tying. A soft steel wire is used for greater flexibility. Strong enough to hold until harvesting, it self-destructs easily after a year, at pruning time. The simplicity of the system makes it the most economical on the market. The coil allows over 1000 ties (for the 0.40mm). Minakshi Enterprises in Established In 2012 And We Are The Manufacturer Of Textle Products, Readymade Garments, Tea Shirts, Trousers. And Senitary Fittings, Grossary Products.